There have been two spectacularly excessive January recruitment drives by Hearts. Oddly, both took place in seasons where the club was performing relatively well on the park before the window opened. One occurred back in 2006 - which we’ve previously covered on The Scotsman and Evening News - and the other took place just 24 months ago. Seeing as a couple of players (Aaron Hughes and Malaury Martin) are still contracted to the club from the latter group, it wouldn’t have made much sense to explore ‘Where Are They Now?’ So instead we’ve gone for a collection of signings through the years. The striker was loaned in January 2016 from Vitesse to replace the outgoing Osman Sow, but failed to make a similar impact despite a steady scoring record. WATN? At Giresunspor in the second tier of Turkish football. The mercurial winger started his four-and-a-half-year period with the club in January 2005, joining on loan from Kaunas. WATN? After playing in Ukraine and Belarus, he's now back in Lithuania with Zalgiris Vilnius. Played just a couple of games after arriving on loan from FBK Kaunas in January 2007. WATN? Managed Wikielec in the fourth tier of Polish football until last summer. The club lost his final game 9-2 as they finished bottom. 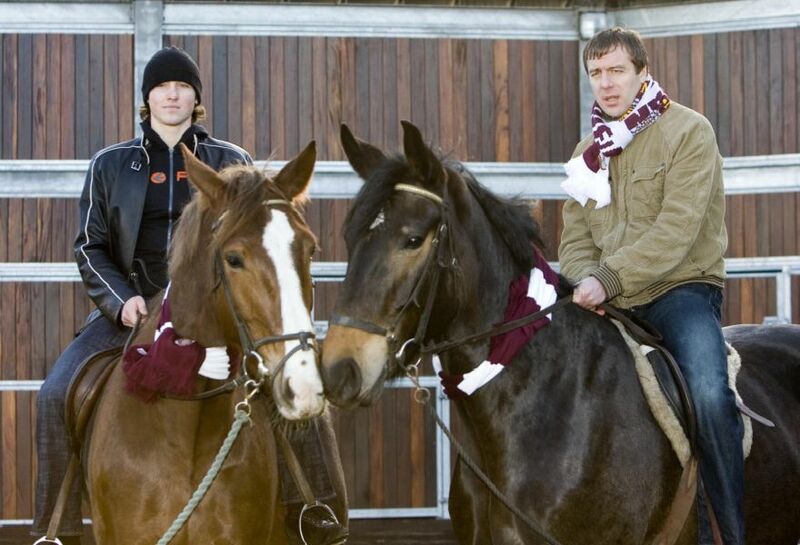 Signed by Robbie Neilson during the club's Championship-winning season, he failed to make an appearance after promotion. WATN? Currently at Quick Boys in the Dutch fourth thier.